Keep your clients coming back! Add more 'tools' in your holistic 'tool box'. Learn soothing and effective technique that clients love and gentle ways of doing Trigger Points. Techniques and Trigger Points is a great adjunct course for those interested in the holistic modalities. This is an easy to understand course all about muscles and movement. Massage Therapists, brush up on topics such as concentric, eccentric, planes and axes, how to strenthen and stretch muscles, muscle functions and more. Holistic Practitioners, if you think you might be interested to take massage therapy classes, this Anatomy in Action course will give you a good indication. The Related Skills course curriculum consists of subjects to assist you with your therapy career. 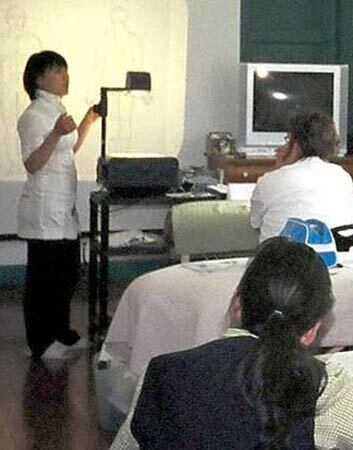 This course may be taken individually, but is included in the advanced therapeutic massage 2200 hour program. A comprehensive course. Apply healing hand reflexes anywhere, at anytime! Recognize which functions of the body are associated with which reflexes of the face, ears, scalp, head, neck and arms and how to keep them in top working order. A very soothing practice with wondrous healing properties brought to the body. Students report that this course not only creates health benefits throughout his/her body but a more youthful appearance to his/her face! Tutoring is available in 3-hour time blocks to assist a student with any class, module or program that Archways Healing College offers.